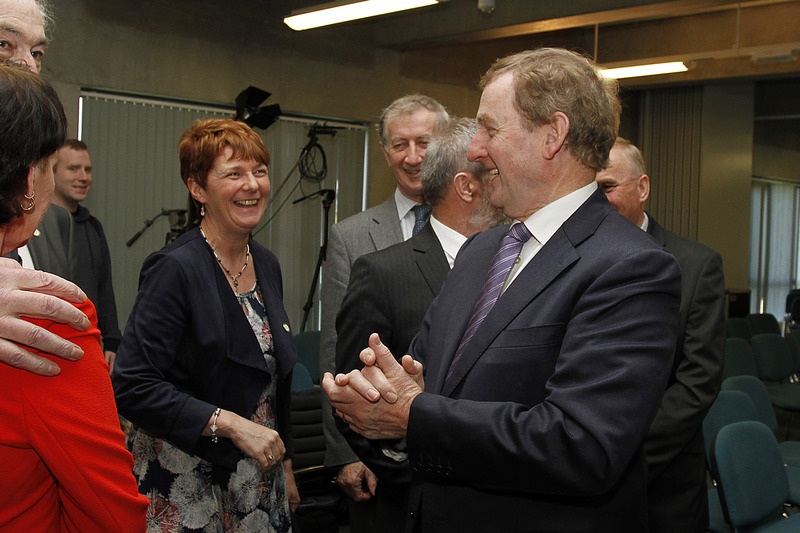 Kerry Comhaltas Ceoltoirí Eireann unveils new 357 m² Cultural Activities Building at IT Tralee. Iconic American industrialist Henry Ford believed that: “if everyone is moving forward together, then success will look after itself”. Ford’s father was a native of Ballinascarthy near Clonakilty – a town not too far from Kinsale which held the Cork County Fleadh in April of this year, itself only a short jump from Cork city which will play host to Fleadh Cheoil na Mumhan in July. Kerry Comhaltas Ceoltoirí Eireann is also moving forward with the unveiling of an innovative new Cultural Activities facility as part of the recently announced €16.5 million Kerry Sports Academy at the Institute of Technology, Tralee. This move will physically position the Kerry Comhaltas organisation in a strong collaborative space alongside the Kerry Technology Park, Innovation Works, the Tom Crean Business Incubation Centre and The Education Centre for Teacher Training which are all located on campus. Beyond the built environment, the North Campus at the Institute of Technology Tralee is a hive of human energy as it is home to 3,000 students. 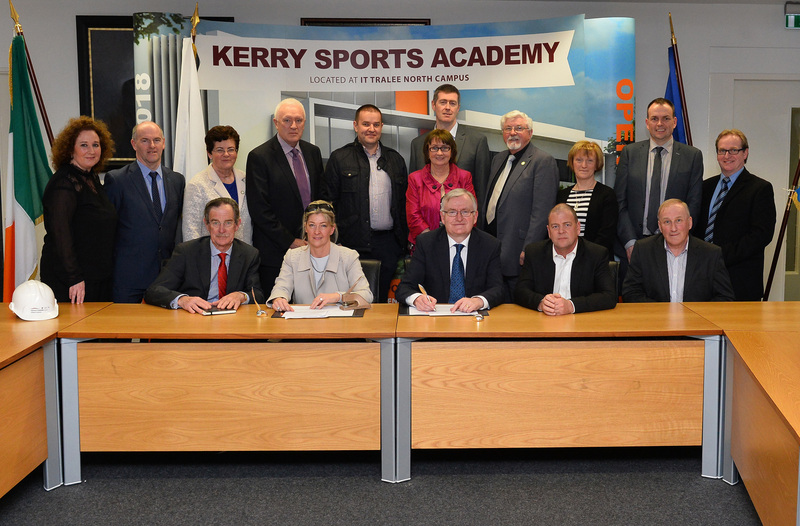 The new 357 m² Comhaltas facility will be located within the new Kerry Sports Academy building and brings the benefits of access to ancillary facilities such as classrooms for the purpose of competitions, the sports hall for larger scale gatherings and extensive catering facilities. The Comhaltas Building itself will have a 120 seat multi-purpose auditorium with front of house, stage, backstage and advanced audio-visual installation with live streaming capabilities. 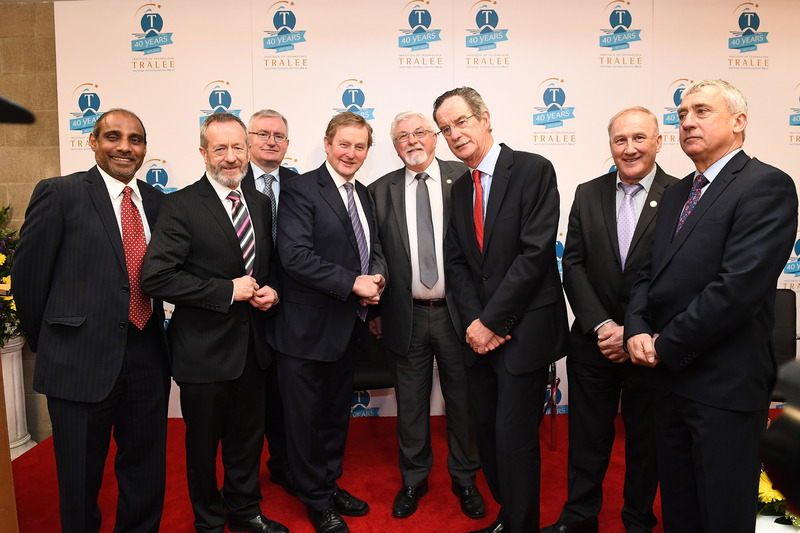 Worldwide, Comhaltas events are attended by over 2 million people annually and it is envisaged that this facility will open up a world of possibility, collaboration and internationalisation for the organisation. Soon, live performances staged at the Kerry Comhaltas building may be streamed online in real-time to the 400 Comhaltas centres globally and to the Irish diaspora worldwide. This idea is at the very heart of the Comhaltas Vision which highlights that the traditional arts should be ‘living, highly visible … and easily accessible to all … fully realised by communities and individuals throughout the country and in Irish communities abroad.’ A further part of the Kerry Comhaltas vision is that the new building will be a shared facility, there to create synergies with the Institute of Technology Tralee, other Comhaltas branches and like-minded organisations. The realisation of this idea was brought about by a number of realities and needs. 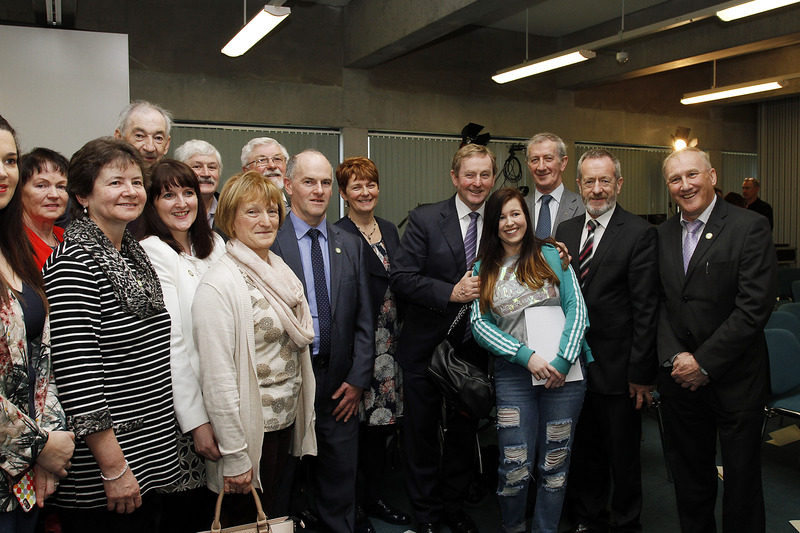 Firstly, Kerry Comhaltas Ceoltoirí Eireann has been without a permanent home since the sale of Dúchas House in 2005. There has been a deep-seated aspiration within the organisation at local level to build a new headquarters that at once echoes past achievements and represents its desire to develop and fortify what Comhaltas does. Secondly, the county is a thriving pocket of activity for the performing arts - music, song, dance and story are all strong here both in practice and in competition. The numbers of people engaging with the traditional performing arts in Kerry is growing and yet there is a lack of suitable venues available to groups on a non-commercial basis. 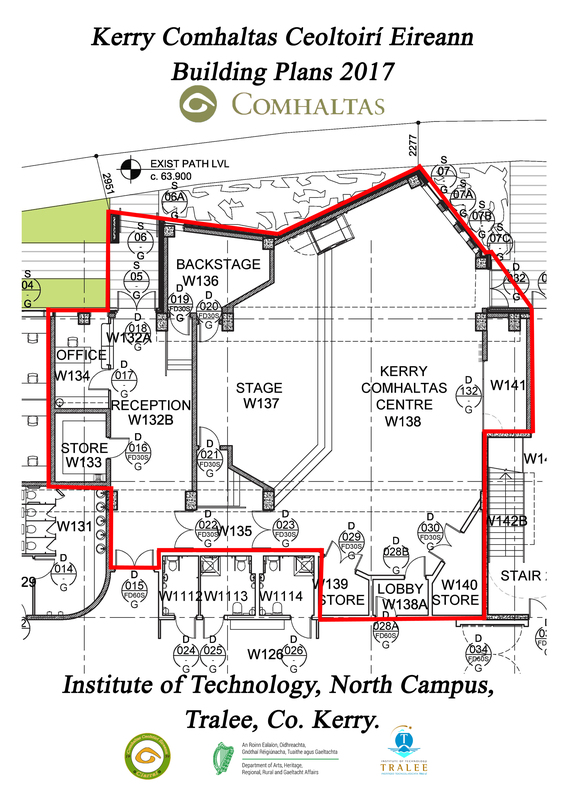 Aside from the clear need for a centre for rehearsal and performance in County Kerry, there is also a clear opportunity to create a highly visible cultural hub, linked to the educational programmes in the performing arts run at the Institute of Technology Tralee and further afield. This would create a physical focal point for in-house learning but also for tuition and master classes for members and the general public. There is the prospect of developing cultural exchange programmes which in time may provide the platform for conferences, symposia, exhibitions and festivals. There is also the ambition to further develop a comprehensive library and archive of rare and important cultural documents. 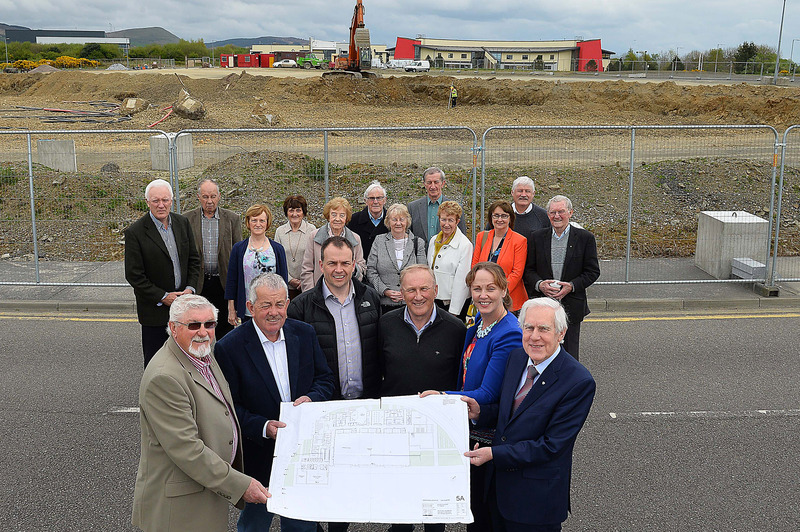 In time, this could lead to the development of a Comhaltas museum. All of these ideas are real, exciting and hugely enriching for the organisation. Kerry Comhaltas Ceoltoirí Eireann will make this new building their County headquarters and new cultural home when it opens in Autumn 2018. Munster Delgate Kerry CCÉ, John Fox IT Tralee, John Stack PRO Kerry CCÉ. Photo by Domnick Walsh IT Tralee Photographer. Tony O’Connor Development Officer Kerry CCÉ, and ITT Foundation Director Ogie Moran. Photo by John Stack PRO Kerry CCÉ. Vice Chairman Kerry CCE, Pat Joe Dennehy Lixnaw CCE. Sean Kelly MEP at the turning of the sod of the Tralee IT Sports academy and Cultural building.